This page tells the story of how this website came to be created. Little did the author know that the venerable retailer that it celebrates would soon become a museum piece itself. He wanted to record and share the heritage that created a much loved and very vibrant brand. At the last count more than ten million people have visited the site. The break-up of Kingfisher marked the cue for some soul searching about Woolworths' heritage and values. The incoming CEO, Trevor Bish-Jones, called on a company old-hand and history buff, Paul Seaton (author of this site) for help. At the time the author had established a large personal collection of 'Woolania', including many products, photographs and documents. Occasionally this material had been shared for internal communications and made available to journalists. In place of a 'death by Powerpoint' history, Seaton proposed to make a film. He digitized thousands of images and documents and photographed some of his heritage products during March 2002. The finished film surprised senior executives, who knew little of the heritage. None had wondered how the brand had become established in Britain. New values were derived from the film. The Board requested two copies of the film, a 15 minute reprise to introduce the new values at team meetings and the full 45 minutes for staff to view at home. The wholesale division produced 30,000 VHS copies for a few pence each. One of the new CEO's top team, the celebrated PR and Corporate Affairs guru Nicole Lander, believed that the story should be shared more widely. 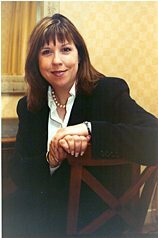 She suggested perhaps a book or film for customers, schools and journalists, and explored options. Among her discoveries on-line was a small museum website from Sainsbury's, which included stunning photography of some of the supermarket's earliest stores, as well a pen portrait of shopping with the chain in times gone by. Perhaps, she suggested, this might be a way forward. It was agreed that, while the Company could not provide funds, they would be pleased to offer editorial autonomy, subject only to a check by the Company Secretariat for any potential legal issues. 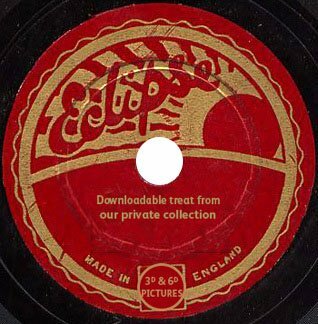 They would provide hosting for a museum website and suggested that Seaton should use the same '3D and 6D Pictures' nom-de-plume that had allowed him to retain copyright in his film productions. The original museum went on-line as museum.woolworths.co.uk in 2004. Written in Microsoft FrontPage, it included a persistent navigation bar in a frame above each of 160 pages of content. In keeping with the prevailing IT dogma of the time, the images were severely scaled and compressed to keep the bandwidth requirements to an absolute minimum. The self-imposed constraint was not driven by a desire to save space or cost on the web, but rather to make the site accessible to home users, most of whom had slow dial-up connections to the Internet. 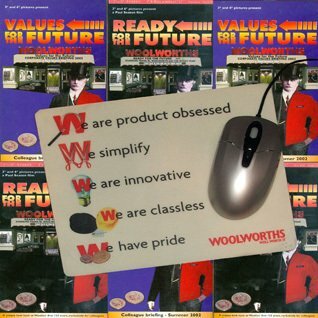 The Woolworths web team at sister company Streets-on-Line, led by Trevor Voss, received page content on CD-rom and published it to the Internet, in a dark corner of the Unix-based Sun Solaris platform. Initial expectations were that traffic would be comparatively low. To the surprise of everyone (and particularly the author) within weeks the Museum was attracting heavy traffic, with many visitors from the UK joined by a surprisingly large number of page requests from the United States of America and Canada, which had no permanent memorial to the five-and-dime. The grandsons of the Founders (who all continued to meet periodically), made contact, jokingly complaining that they had lost several days' work, glued to the content. After more than a million people visited the site it was given a server of its own. 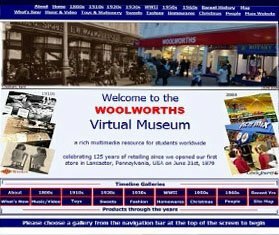 Between 2005 and 2008 10% of all of those visiting woolworths.co.uk also visited the Virtual Museum, with many starting with the Museum and moving on to make a purchase from the main website. At its peak, as part of the store-based company, the main site generate a sales volume approaching £100m a year. The BBC's Bristol-based web unit spotted the site, leading to a BBC4 television programme in The Edwardians series, 'Shopping for England'. 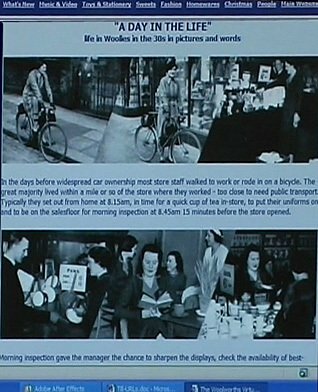 It forward to the centenary of two American retailers, Woolworths and Selfridges, contrasting the affluent emporium in Oxford Street, London with Frank W. Woolworth's 'every day store for everyone'. 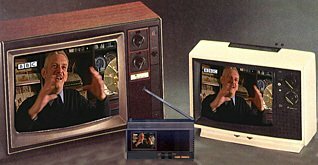 The programme was repeated a dozen times on BBC4 and later on BBC2 included two credits, naming Paul Seaton as both a researcher and an interviewee and acknowledging the content from 3D and 6D Pictures. The programme was the Radio Times choice of the day and was awarded five stars. Recognition for the war pages of the Virtual Museum came when Paul Seaton was invited to contribute a chapter to the official commemorative book marking the sixtieth anniversary of the D-Day landings, which is now reproduced here in the Woolworths Museum. He was also invited to contribute to an official history of The Spitfire, after the publishers spotted details of 'Nix Over Six' on line. The RAF also announced plans to name a modern day fighter Nix Over Six 'in recognition of the few'. The war coverage also appears in the London Fire Brigade's website and in a number of works related to the V2 attack in New Cross and was commended by the Imperial War Museum. In a cruel twist, the Virtual Museum inspired a BBC Radio 2 documentary 'The Wonderful Sound of Woolies', which was recorded in the Summer of 2008 for transmission at Christmas. The programme featured a musical trip down memory lane from sheet music in nineteenth century America through all of the own labels from Little Marvel to WorthIt!, with appearances by members of the Typhoons (once described as better than The Beatles), Dame Vera Lynn and Sir Henry Cooper MBE, all hosted by much-loved veteran presenter Brian Matthew, once the star behind the Embassy Records version of 'Goodness Gracious Me'. 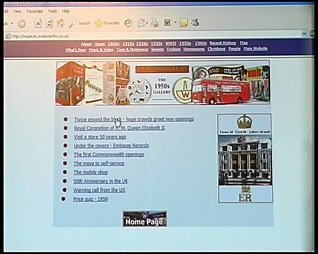 One million people visited the Virtual Museum in the week when Woolworths went into Administration, and English Heritage approached the author, describing the site as a 'national treasure' and encouraging him to republish the site. Further content has since been added, as the layout has been adjusted to keep up with new technology like tablets and mobile phones, and as further content has become available. The goal was not to produce an 'e-museum' but an 'A Star' museum - a permanent testament to the stores chain.